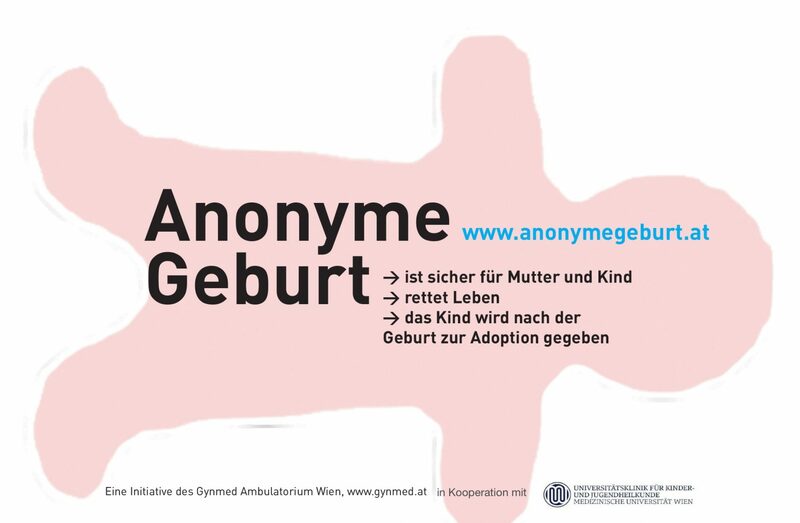 Giving birth anonymously is free of charge in any Austrian hospital, as well as anonymous prenatal care and ambulance transport (emergency number 144). After the birth, the Child Protective Services becomes the legal guardian of the child and foster parents (prospective adoptive parents) take on the care for the child. Anonymous birth can be a solution for girls and women in difficult situations. You and your child will receive anonymous medical care and can also benefit from psychosocial help. It is a legal option, therefore you will not have to worry about legal or criminal prosecution. For an anonymous birth, you should contact, as early as possible, a maternity ward at the hospital of your choice. At the hospital, the team knows that you are in a difficult situation and will respect your wish for anonymity. Adopted children may want to find out about its birth parents and family, probably also about the reasons of the relinquishment and its following adoption. The experiences of the Child Protective Services have shown how important it is to provide the child with answers. Please consider leaving a personal note for the child, you can also send it to the Child Protective Services team at a later point of time. You have 6 months time to change your mind. Usually until the adoption process is finalized and under certain circumstances, you can revoke your decision to give up your child. In order to do so you must give up your anonymity and apply for parental rights for the child at court. keep your child and take advantage of Child Protective Services.